Jim Finnerty is product manager at Wintriss Controls Group, Acton, MA; 800/586-8324, www.wintriss.com. Both new and experienced sensor users make mistakes. While experience may be the best teacher, learning from the failure of others is much more efficient. With that in mind, let’s consider the most common mistakes when using sensors for die protection, and how we can avoid them. Many times, sensors are destroyed by the very event they’re supposed to detect when that event occurs in an unanticipated fashion. Anticipate all failure modes when installing sensors. 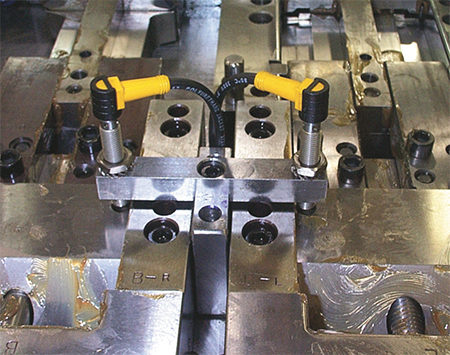 For example, best practice for detecting stripper position at bottom dead center (BDC)—usually for detecting pulled slugs—is to install inductive proximity sensors in the bottom die. This ensures that the stripper descends completely at BDC. 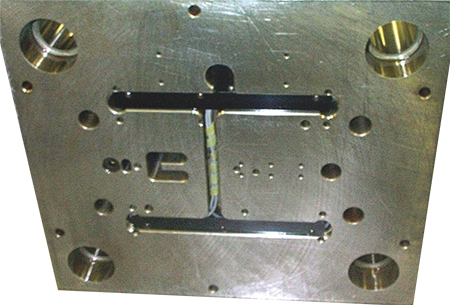 Sometimes a user will install the sensors in the upper die behind the stripper so that they will actuate at BDC if the stripper is too high by one material thickness. This method, though effective for detecting pulled slugs, will result in a crushed sensor when anything larger than one material thickness—such as a piece of broken punch—ends up under the stripper. Bench testing provides the opportunity to try a sensor setup before placing it on a die and in the press. A well-stocked sensor lab will likely pay for itself the first time that one of those ideas that ‘looked good on paper’ proves ineffective in practice. Successful sensoring demands bench testing. Try out a sensor setup first on the bench to ensure that it will work in the die. A well-stocked sensor lab will likely pay for itself the first time that one of those ideas that ‘looked good on paper’ proves ineffective in practice. The worst, and most expensive, place to prove out sensors is in the press when the die should be in production. Various types of electronic sensors have their own advantages and limitations, and not all are suited for every application. Standardization is good…to a point. Don’t be afraid to try something new. Bench testing in a well-stocked sensor lab helps you to know when it’s time to try something new. If a method and sensor barely works on the bench, it most likely will be unreliable in a production environment. In-die sensors can perform a variety of functions, such as detecting cams returning to home position. Just be sure to avoid common mistakes that can derail a sensor program and waste time and money. Electronic sensors offer many output options, but not all outputs are compatible with all controls. If in doubt, contact your control provider for assistance. Cable damage accounts for more sensor replacements more than any other cause. Avoid damage by using die-mounted junction boxes and carefully planning the sensor-wire routes to protect the cables. Often, the most difficult part of installing a sensor is figuring out how to route the wire from the sensor to the junction box. Waiting until the die is assembled and the sensor installed is probably too late. All new die designs should have the sensor wires included on the CAD drawing. A normally open static sensor only actuates when a problem exists. When such a sensor is installed in the upper die, the wire to the sensor eventually will break due to repeated flexing. To a die-protection control, a normally open static sensor with a broken wire looks exactly like the same sensor not detecting a problem. Here’s an example of a well-thought-out wire route. Cable damage accounts for more sensor replacements more than any other cause. Avoid damage by using die-mounted junction boxes and carefully planning the sensor-wire routes to protect the cables. All new die designs should have the sensor wires included on the CAD drawing. A normally open sensor often can be converted to a normally closed sensor—always actuated and turns off when there’s a problem − by selecting the normally closed instead of the normally open output. 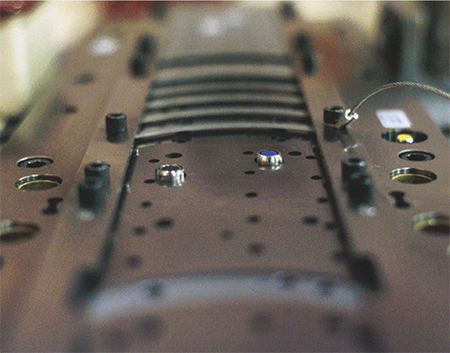 The die-protection control will immediately detect a broken wire on a normally closed sensor, and stop the press. A machine stoppage initiated by the die-protection system when no real problem exists is known as a nuisance stop. Upon the first nuisance stop, a conscientious machine operator carefully scrutinizes the error message from the controller, thoroughly inspects the press and die to locate the fault, and, only upon finding nothing wrong resets the error and restarts the machine. The next time a stop occurs, the operator might not read the message as carefully or inspect the machine as thoroughly. After that, you’re lucky if the operator gives a casual glance at the controller and die before pressing the reset button. Should the nuisance stops continue, it is only a matter of time before the sensor is disconnected and the system disabled. What common practices may lead to excessive nuisance stops? Place proximity sensors, so that the possibility of sensor damage is minimized should material or a tool locate out of position. Using setup personnel to adjust the sensors. Adjustable sensors seem like a good idea—install them in a rough location and have the setup person fine-tune the sensor with each die run. But besides being labor-intensive, this practice can lead to nuisance stops. 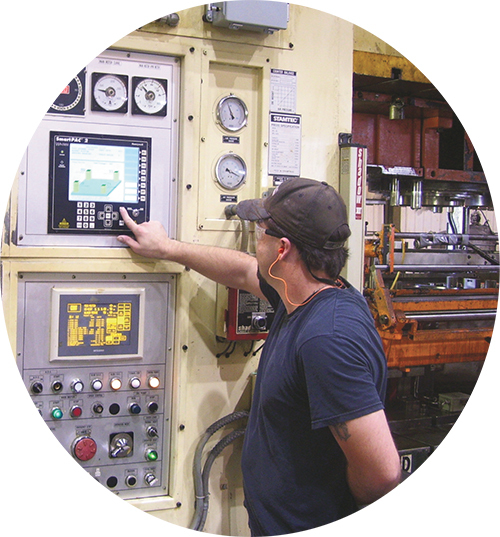 Setup personnel may lack the training or expertise to properly adjust all sensors for all conditions. The goal of any installation should be to select a sensor that never needs adjustment, and a location where the sensor will stop the machine only when a real problem is present. ‘Plug it in’ should be the only task for the setup person. 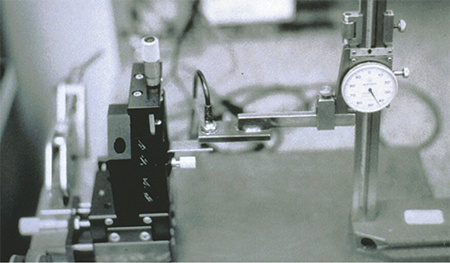 A properly bench-tested sensor should be installed so that it will never have to be moved or adjusted. While an adjustment might come in handy initially, adjustability becomes a liability once the sensor runs correctly. Moving sensors from die to die. New sensor users may try to save money by purchasing a part-ejection sensor with the intention of moving it to various dies as needed. In the end, this practice does not save money, and often leads to nuisance stops and damaged tooling. Select specific sensors for specific dies and leave them in place. You’ll avoid the expense of additional sensor-related setup time and the pitfalls of adjustability. Also, sensors moved from die to die tend to be compromise choices that can be shoehorned into many applications, rather than providing an ideal solution tailored to meet the exact needs of each application. And, suppose that the sensor you need is already in use on another die. Do you run without protection?